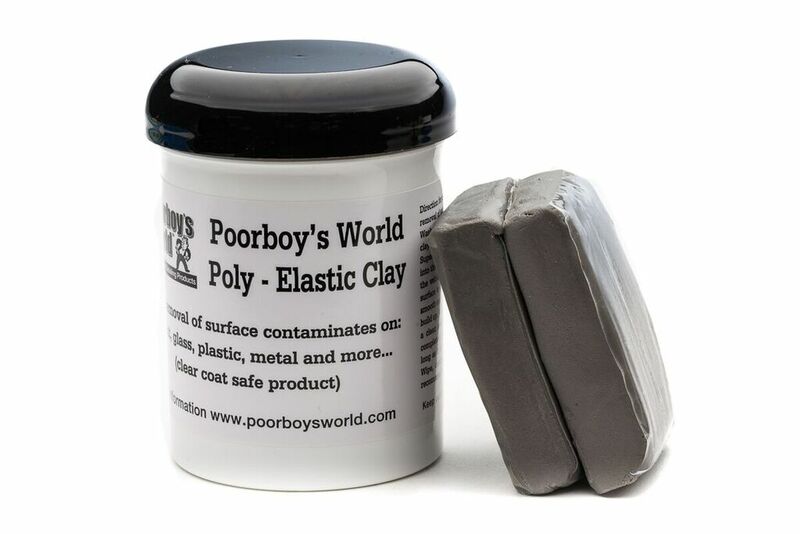 Poorboy's World Clay Bar removes embedded contaminants such as brake dust, industrial fallout, tree sap, overspray, and rail dust - and leaves the paint totally clean. After using Poorboy's World Clay Bar, your vehicle will look and feel as smooth as glass, ready for a coat of wax!Poorboy's World Clay Bar is a flexible, long-lasting, synthetic clay resin. It can be stretched and reshaped countless times. This is a medium grade clay, perfect for twice-yearly usage. So how do you clay your car? Tear off a section of clay about 50mm x 50mm and start to mould the clay in your hands until it is soft and warm.